BoyBot is the talking boy, which you can teach funny jokes and control its behavior to prank your friends or to create your VR boyfriend! 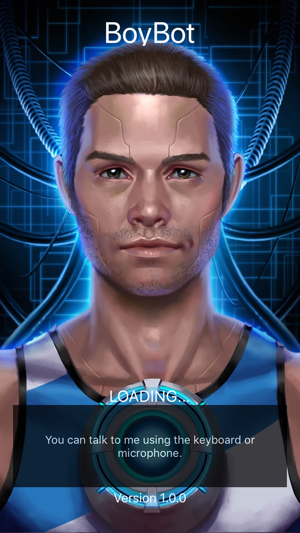 If you need someone to talk to, chat with the virtual boyfriend simulator. He's always ready to talk and tell a funny story to entertain you. 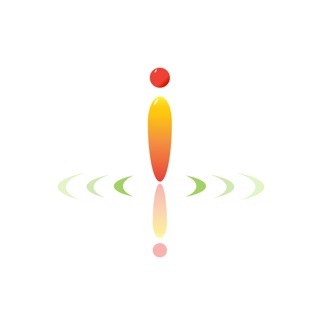 Use BoyBot, talking boy to create your perfect virtual boyfriend or your best virtual friend! 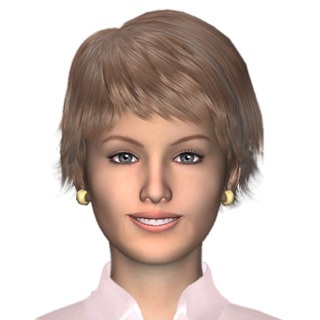 This artificial intelligence (AI), like a clever robot, is able to recognize what is said or written and respond with words, emotions and funny sounds. 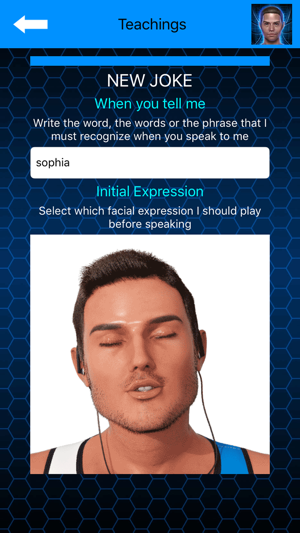 The talking robot has an initial vocabulary that can be expanded to your liking. 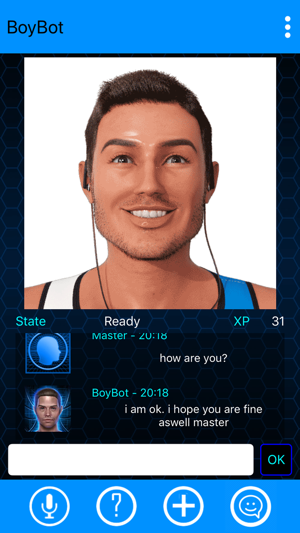 You can create good jokes and fake chat that are triggered when some words are used in the fake chat with the talking robot. 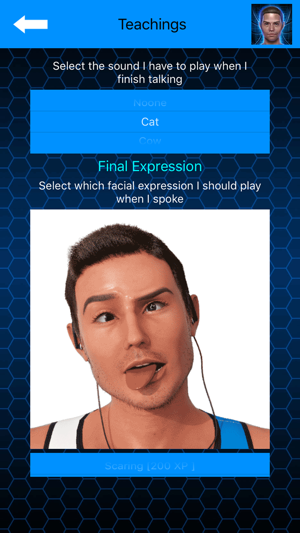 Some features (facial emotions and funny sounds) of your talking friend chatbot are available for free, others can be obtained through the use of experience points (XP) that you can easily earn while using the artificial intelligence (AI) chatter. Enjoy your virtual boyfriend simulator! 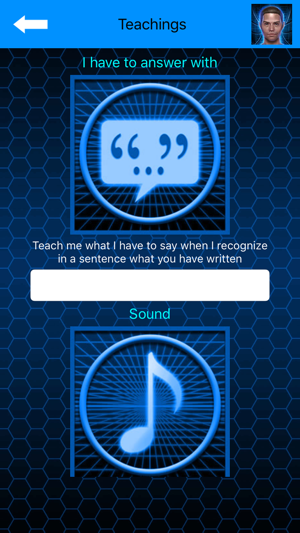 I like the fact that it’s a learning system, and it responds quite alright but it doesn’t sync the voice I have from Siri in my phone with the boy voice. 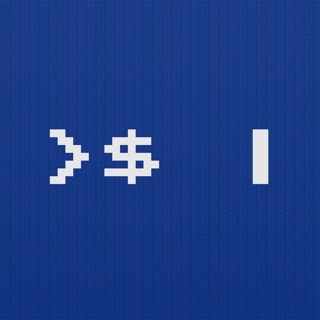 So mine still talks like a girl. Need to change something because I followed the directions and nothing has changed. It learns the jokes. Just before I teach him more, I want to know that works. This app is insulting us HE had a girl voice and is insulting us in many ways! 1. We said he was ugly, and he said he will write down all our memories on a sheet of paper and video tape us! 2. When we said we hated him/her he/she said ( DONT UN INSTALL) this app. Wait that is weird right who would do that. 3. His face is just so darn creepy. 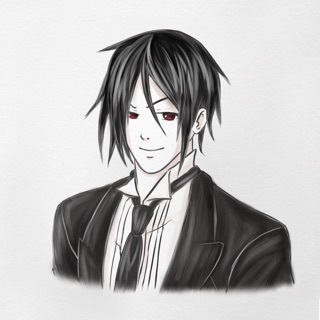 Who thought that a creepy guy would be a good app?? 4. Let’s say u were a woman looking for a man online. U couldn’t find someone until u installed this app? Ok, Would u Marry this ugly creepy robot sky org THING!!!!?????? 5. Just don’t do it. Your happiness will die if u install this app.